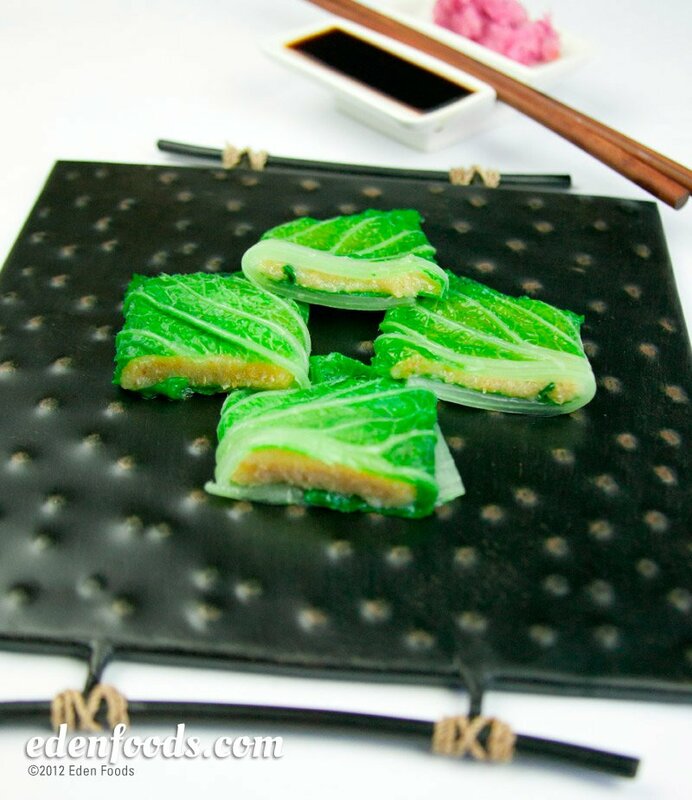 Fold the cabbage leaves in half and place 1 piece of mochi between the fold of each. Place 1" of water in a pot and insert a steamer. Cover and bring to a boil. Place the cabbage leaf in the steamer and steam 2 to 3 minutes or until the cabbage is bright green and tender and the mochi has melted inside. Test for doneness with a fork or toothpick. Remove, slice and eat as is or with a dip sauce made of 50/50 water and shoyu.